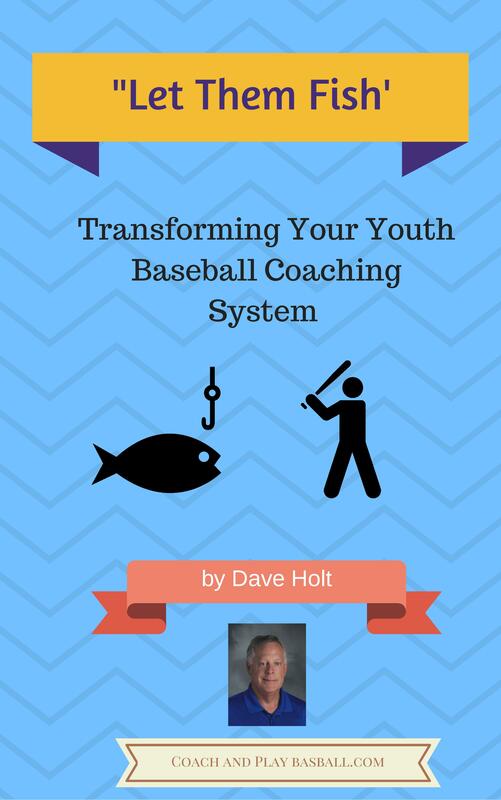 Youth baseball coaching book show them how to play and then let them fish. "It's not where baseball takes you. It's what it teaches you." Just about anybody today can put on the coaches hat and be called the 'coach'. putting on a 'show' during games so you look like you are 'coaching'. Rarely do our vitally important volunteer baseball coaches have the 'whole package'. Might treat kids good but lack any expertise in helping kids get better. Have some expertise but be a total 'jerk'. Have no concept of the 7 to 10 year process to develop players to reach past the post age 12 and older years of baseball. Only look at the scoreboard and evaluate success on wins & losses. Had ZERO training in developing players to reach the 13 & 14 year old game on the bigger fields. "Coach is just a term. It can be someone who is completely incompetent or a expert in training. It is a debatable term at best. Most people who are addressed as coach, are not even qualified to coach. They are the position by default. They rely upon natural talent or skill sets taught by others. A great true coach is a mentor. Someone you can respect, who makes you better, corrects your deficiencies in a respectable manner. You yearn to give 125% and more for the Coach who is your mentor. They are far and few between, natural leaders, the person who influences and makes your life better, and helps you achieve more. Do not let someone abuse you, intimidate, humiliate, or harm you in the guise of coaching. And do not let them harm others. Look for mentors to help you grow. They are worthy of being called Coach." Milt Kreitzer. Here are some of the topics you will master after consuming the eBook. Most of the stuff in this book is not available anywhere else. It is like a coaches training manual and guidebook. What Will Happen After I Read It? 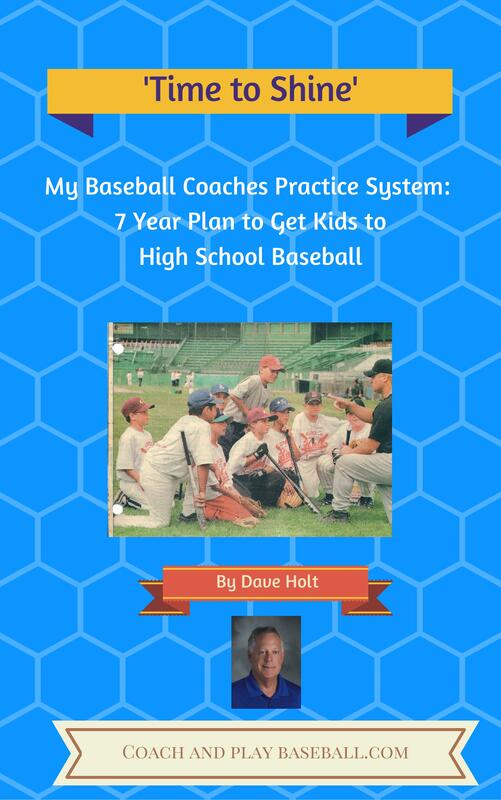 Never again will you be the same coach or baseball parent after reading this eBook. The eyes you see baseball player development with will now be from an entirely different view. Your players, your parents and your family will see a total transformation. The knowledge and tools you will acquire will allow you to see your role as a total player development 'guru'. I talk to parents and coaches almost every day and hear their feedback. I know that parents and coaches have a upside down view of player development. I get frustrated at the lack of training in youth baseball coaching. I also know the best coaches WANT to get better. This is why I am so confident that this eBook will springboard you into a level of coaching and baseball parenting that you never new. This book will empower you as a player development expert in the game. What About Your 'Expert Baseball Coaching' Series? You might be ready to go all in, get more stuff and save money, too. Why not get serious about being a top notch coach and baseball parent and get the Expert Series 3 eBook package. Yes, we are tired of fooling around. We want to get serious about our kids playing baseball well past age 12. 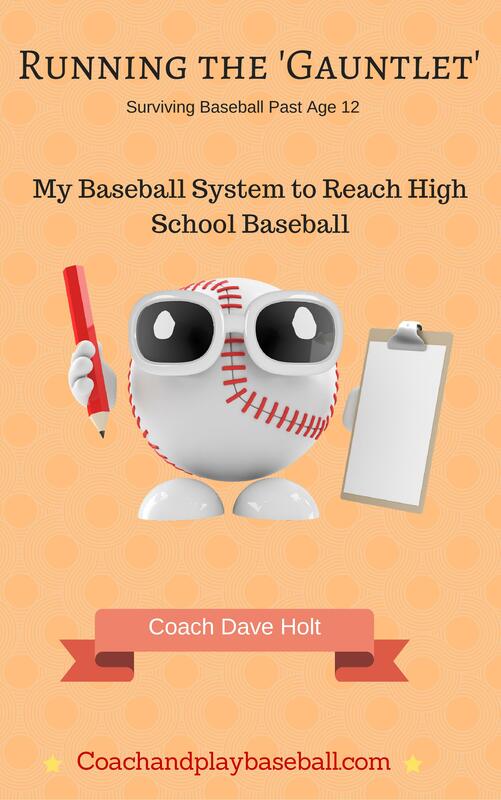 We want to know the best system to get our kids through the 'Gauntlet' and well into the high school baseball funnel. I am ready to go for it and order your entire 4-eBook series package. Yes, it is time to take my baseball development to another level! Build Your ULTIMATE Culture of Hitting, too. For less than $30 you get the works. We all know the kids who hit the ball the best play the longest and have more FUN. Are you teaching hitters to hit the ball hard, far and often? Do you know how to teach kids to hit the ball hard, far, and often? Can you develop hitters like professional coaches do it? You will know to how to Build Your ULTIMATE Culture of Hitting after reading this material. It will be a game-changer for you and your players.